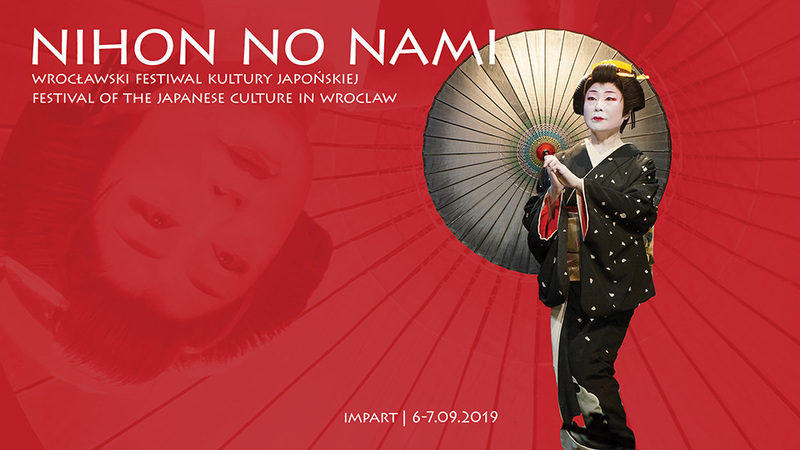 the 3rd Japanese Culture Festival in Wroclaw NIHON NO NAMI 2019 (日本の波 literally: Japanese Wave). – one place: IMPART, 17th Mazowiecka str. .
the 100th Anniversary of the Establishment of Diplomatic Relations between Poland and Japan. Main performance "Nihon no Nami" created by Jiutamai Promotion Foundation with special appearance of the master of Hansaki-ryu, Tokijyo Hanasaki.